Google Chrome is quickly gaining popularity as the perfect alternative to other heavyweights like Internet Explorer and Firefox. The browser war has been going on since the mid-1990’s and choosing a ‘side’ has always come down to a few factors: who’s faster, who’s lighter and who’s the most compatible. Google Chrome seems to beat the other two on all three fronts. And with Extensions, functionality just keeps getting better and better. For those of you with WordPress blogs, you can now offer your readers the ability to install a Chrome Extension right into their browser that allows them to see your latest RSS feeds without even having to go to your site! This is a great tool for people who don’t regularly subscribe to RSS feeds, but want to know when you create new content. Once I create my own extension, I’ll post a guide here, but for now, check out the detailed one over at 9lessons.info. You can now install a Chrome extension that will show you live stats for your blog! 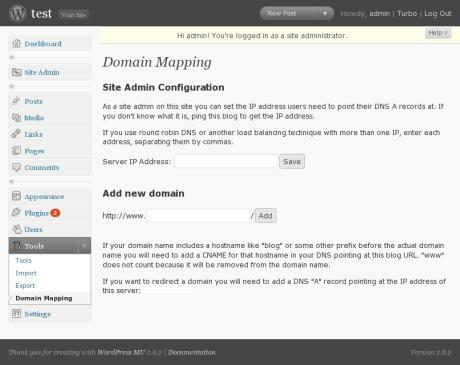 After you install it, all you need to configure it is your blog domain and your API key. To get your API key if you already have it, go to WordPress.com, login and view your profile. If you’re using Akismet for blocking spam comments, you can get that API key by clicking on the Akismet plugin configuration under Plugins in your WordPress admin. 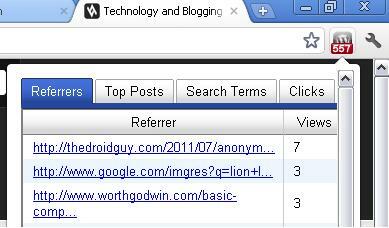 Referrers – These are the website links that have forwarded a visitor onto your site. Top Posts – This list shows you the top posts on your site for the day. Search Terms – This is a handy list that shows you what search terms brought people to your site. Clicks – Now you see the actual clicks that people used to get to your site right from your browser! Note that this extension only works if you have WordPress Stats enabled on your site. It also only supports one blog at the moment. In time, there may be options to input data from multiple blogs. Get the WordPress Stats Extension now! Now here’s a extension worth getting if you’re having trouble moderating all those post comments! 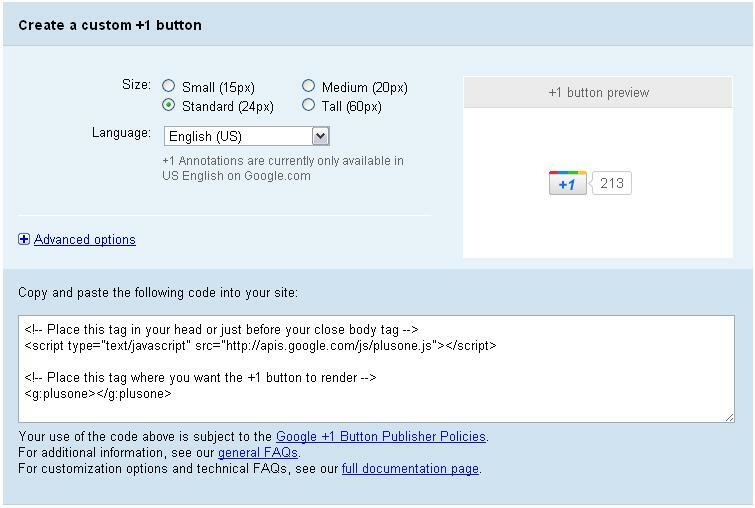 With this extension, you can moderate blog comments on one or more blogs directly from Chrome. You no longer have to login to your WP admin to filter out the bad from the good. 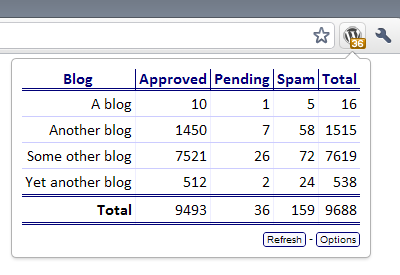 With it, you can see all comments that are marked as approved, pending or spam. It also shows you the total comments you have and compares them right on screen to your other blog sites. 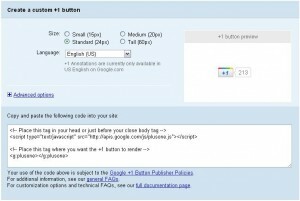 Get the WordPress Checker extension now! These are just three of the quickest ways to interact with your blog and to allow your readers to stay updated at all time with your site. I hope that in time, multiple blogs will be fully supported by these extensions with the ability to manage all of them through a simple interface. I also like the fact that extensions are less-intrusive than browser toolbars and seem to be more user-friendly. Happy Memorial Day! Consider yourself autoblogged because like you probably are, I’m relaxing and enjoying my day off from work. With that said, today I wanted to write up a simple post regarding my newfound love, Flickr. I’m fairly sure at this point in time, every single person that has ever searched for an image online has seen one or more Flickr accounts out there! So what’s so special about it? Let me tell you. If you’re a photographer or just someone who likes to take pictures and video of life, consider Flickr to be the equivalent of Facebook for you. The premise is simple: you upload photos, tag them, describe them, organize them and let the world have them. The best part of Flickr is how well it integrates with all of your existing social media sites and/or blogs. You can link it to Facebook, Twitter, Blogger, Tumblr, LiveJournal and any WordPress-enabled site. By linking everything together, you can now take your photos to a worldwide stage and bring the visitors to you. From there, if they like what you have, you will likely start receiving new visitors to your site(s). A perfect example of this would be if you’re already running a photography website, but you’re not getting many hits. That’s because you have to market that site on its own using all the SEO tricks you can find, but even that might not be enough. Instead, move (or copy) your portfolio(s) over to Flickr and you’re basically dumping your pictures into a digital world full of people searching and browsing for images! As with everything free, there’s always a catch! Free accounts have the following limitations: 300mb upload limit per month for photos, 2 video upload limit per month, only the first 200 images appear on your photostream, limited to posting images in 10 groups and only your smaller size images are shown. My advice is to get the Pro account. It’s not much money when you break it down per month: only about $2, but so worth it. Flickr also supports the use of Creative Commons copyright restrictions. You can place these restrictions on one image or all of them. Better yet, each image can have a different copyright than the next one. You are always in full control over how your images can be used online! Since I’m starting to get into photography, I love the idea that I can share my photos with the world. In time, the goal is to continue gaining more and more momentum with the quality that I’m bringing to the table. In turn , I’m hoping this will lead more people to me, which I’m really hoping will turn into actual business. There’s so much more to Flickr—I feel like I just scratched the surface, so go check out the Flickr FAQ page to answer all your questions. I wasn’t sure if I should have called them a “who” or a “what”, but one thing’s for sure…if you’re putting content online, you should be aware of what CC is. First and foremost, copyright laws and regulations were designed years and years ago in a time where there was less to worry about in the way of content theft. We’re talking about the days before the Internet, computers and even copy machines. If someone wanted to steal your manuscript for example, they would physically need to possess it and then make a hand copy. While it was harder to steal content, it was also much easier to find out when someone did. Now, it’s easier to steal content, and much harder to found out when someone does it. Today, we have computers, the Internet and copy machines plus a whole slew of computer programs that make digital copying and manipulation possible and surprisingly easy. The problem is that general copyright enforcement has not been able to cross over to the new age—that is until now. Anyone who uses Wikipedia on a regular basis has seen the full power of Creative Commons at work. In fact, every single picture you click on will have a variation of a CC license attached to it. Copyright owners can mark their work with a customized copyright license that may or may not extend any rights to 3rd party users. 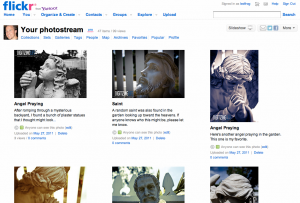 Just the same, Flickr users have access to select various licenses for their work as well. So to put it into simple terms, if you create a digital work (photograph, video, etc) and you wish to display it online, you can use Creative Commons to attribute a specific license to the work that allows you to decide how that work can be shared, copied, used, manipulated or displayed should someone come along and wish to do one or all of those things. 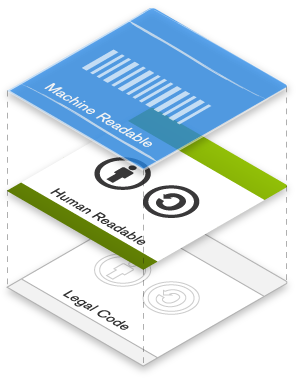 CC uses a 3-layer license format. The first layer represents the Legal Code which is all the legal mumbo jumbo that most of us non-lawyers don’t really understand. These are the words that basically dictate what is protected and what is not on a copyrighted work. On top of this comes the Human Readable layer that incorporates something that CC calls the Commons Deed. It is essentially a watered down version of the legal code beneath it. In other words, rather than sort through long paragraphs of rules and restrictions, the Commons Deed simply points out the most important facets of the copyright status. Finally, the top layer is a machine readable layer that contains all the same legal information as the previous two, but can now be accessed by software used on computers, in search engines and on hardware that makes copying possible. This allows manufacturers and software vendors to create new ways of stopping the illegal copying of copyrighted materials. For example, on Flickr, if you don’t want to allow people to download your images, you can set the license to do that and Flickr can read this license and block people from downloading the image. It’s a great piece of technology. Now if only we could stop screen capture programs! Attribution – This license lets others distribute, remix, tweak, and build upon your work, even commercially, as long as they credit you for the original creation. This is the most accommodating of licenses offered. Recommended for maximum dissemination and use of licensed materials. Attribution-ShareAlike – This license lets others remix, tweak, and build upon your work even for commercial purposes, as long as they credit you and license their new creations under the identical terms. This license is often compared to “copyleft” free and open source software licenses. All new works based on yours will carry the same license, so any derivatives will also allow commercial use. This is the license used by Wikipedia, and is recommended for materials that would benefit from incorporating content from Wikipedia and similarly licensed projects. Attribution-NoDerivs – This license allows for redistribution, commercial and non-commercial, as long as it is passed along unchanged and in whole, with credit to you. Attribution-NonCommercial – This license lets others remix, tweak, and build upon your work non-commercially, and although their new works must also acknowledge you and be non-commercial, they don’t have to license their derivative works on the same terms. Attribution-NonCommercial-ShareAlike – This license lets others remix, tweak, and build upon your work non-commercially, as long as they credit you and license their new creations under the identical terms. Attribution-NonCommercial-NoDerivs – This license is the most restrictive of our six main licenses, only allowing others to download your works and share them with others as long as they credit you, but they can’t change them in any way or use them commercially. For more information on the licenses, the logos that you can use to place on or near your work and a form to create your own licenses today, please check out the Creative Commons website. I fully support the Creative Commons movement and now that I’m beginning to post my digital photography online, I can clearly see the value in such a system. However, I’m also a realist so I understand that nothing is full-proof and even though systems like these are in place, there will still be ways to get around them and there will always be people willing to steal and copy materials from the Internet. It’s simply the way of life. But because I know this, I’m willing to assume that anything I post online will be accessible to the world and at any given time, can be copied and manipulated in any form. That’s good advice for anyone wishing to post photos and videos online whether it’s on your own site or places like Facebook and YouTube. Think before you post.